The Kanken (漢検) is a test designed for native Japanese speakers, but every year more and more Japanese learners give the test a go. There are ten levels (1 and 2 both have a pre-level making 12 total tests) that test the student on everything kanji. Unlike the JLPT, you have to know how to write kanji as well as be able to read them. For more on the Kanken see here and here. Out of all the DS kanji training games I’ve tried, I like this one the best. It is simply excellent for improving your writing AND reading skills. Just like the Kanken test, this software is designed for native speakers. However, upper beginners and especially intermediates will greatly enjoy it. This software is awesome for reviewing the readings of kanji in context. It isn’t great for studying brand-new-to-you kanji, but for reviewing kanji you’ve at least seen before, it makes nailing the kanji painless (and some would say, fun). Of course you can download programs to review the readings of kanji and jukugo on your computer that do just as well, but what makes this software so great is the DS’ stylus feature. Even when studying the reading of kanji, it forces you to write in kana. And of course when studying the kanji itself, you have to write the kanji for the kana presented. Writing it out (whether kana or kanji) helps make what you are learning concrete. See our previous post for a discussion on whether a student should concentrate on learning to write or to just stick with reading. There are already a few good comments from other students! Thanks! The Kanji Check tests your current abilities, but I would skip it unless you have mastered the writing of several hundred kanji. We will just look at the ‘hajimeru’ today. Clicking on はじめる, you then create an account. This allows the software to track your progress and keep stats. Once logged in, again you can test your current kanji skills (#1 choice) and view your data and progress (#3), but the 学習 gakushuu or learning section is the real gold and where we are headed right now. 書き取り kakitori Practice writing kanji (great for learning how to write kanji)—A sentence is shown. Based on the context, you have to write the kanji represented by the red lined kana on the screen to the left. 即読み漢字 sokuyomi kanji Tests you on the readings of the kanji (great for learning how to read kanji)—Pretty much the opposite of the above. It gives a sentence and one kanji (usually in a 熟語 kanji pair) has a red line beside it. You have to write in kana that reading. 筆順 hitsujun Stroke order practice—this displays a kanji on the left screen with one stroke in red. You have to write the number for which stroke it represents. And several others including 送りがな okurigana (This tests you on how to write the trailing hiragana after kanji (okurigana): 等しい or 等としい (the first is correct)), 四字熟語 yojijukugo (A compound of three or four kanji is given with one kanji replaced with a katakana. You have to write the correct kanji. ), etc. When you start the training for any of the above options, you choose which level you want (10 being the easiest, 1 the hardest) and it tests you with mini-quizzes of just a handful of questions each. This makes it great for studying on the go. Even if you have only a few minutes, you can do a couple of quizzes for a level. Here is a picture showing a quiz from the 書き取り. Again, sorry for the quality, but you can see it has a timer at the top right of the left screen. Once the timer gets to 10 seconds, it starts giving you a hint to the bottom left. You can see the red line next to the katakana that indicates which kanji you are to write over on the right screen. When you write a kanji you are happy with you can hit にんしき which will try to recognize what you wrote and display it in the box above. Usually it does a superb job. If it is the kanji you meant it to be, click on the けってい button to choose it. Then you will either see a big circle meaning you got it, or a big X meaning too bad. I actually bought a Japanese PS2 a few years ago in order to play a previous version of this game. It was a great way to practice reading, but since the PS2 doesn’t have a stylus, it couldn’t really help with writing. Plus it was clumsy and not easy to navigate. 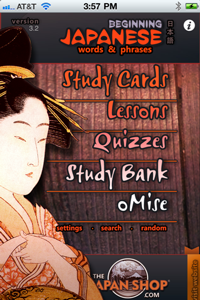 This software is pretty much a dream application for kanji lovers. Again, it isn’t made specifically for those learning Japanese and it doesn’t give English meanings, but it is great for learning how to write kanji, remember the readings and even for learning the meanings since a sentence is usually give for context. Highly recommended for those who have basic kanji under their belt and are looking for something to help practice kanji. About a year ago I bought a Nintendo DS and a few kanji training ‘games’ from Japan. I was immediately impressed and decided to add several to our store’s line up. In the next few posts (sequential unless something else tickles my fancy), I would like to do a few spotlight reviews for each specific DS software I’ve tried. The short of it all is none of the games are great for beginners. Upper beginners may make good use of any of them, but intermediates and advanced students will get the most out of them. If you don’t have a DS, I would highly recommend it for study and play. Take a look at the reviews at Amazon for the Nintendo DS Lite . The ‘Lite’ means it is smaller than the original in size not power. It is the newest version and is not only lighter but has a better screen. The best thing is the US version (or any other country’s version – except China) will work with Japanese DS software! The touch screen with a stylus makes it ideal for language learning. Way to go Nintendo! No, this isn’t a game based on Yon-sama’s 冬のソナタ Winter Sonata. http://rcm.amazon.com/e/cm?t=howtowowinjapa&o=1&p=8&l=as1&asins=B000PC4FYK&fc1=000000&IS2=1&lt1=_blank&lc1=0000FF&bc1=000000&bg1=FFFFFF&f=ifr Good news. This game for the Xbox 360 lets you switch between JAPANESE AND ENGLISH dubs. That is, you can play this game either in Japanese or English. It is a RPG with an interesting twist. 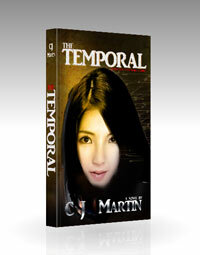 The story is a dream of the composer Frederic Chopin during his final hours of life. Strange, yes but apparently it works. And for those that are just reading this preview for that one oh-so-precious bit of information, the answer is yes. You can switch the audio dub from English to Japanese at any time. Wow. I may have to get this game. It comes out September 17, 2007, but can be pre-ordered today. My Xbox has been acting funny recently. After calling and not being able to resolve the issue, Microsoft sent me a box to send it in. The Microsoft tech asked if I had a red circle in the place of the normal green. I told him, I knew about the Red Circle of Death, but it wasn’t the case here. Turns out, after hanging up I tried turning on the machine one more time. This time, it was all red. The ‘Red Circle of Death’ is a play on the ‘Blue Screen of Death‘ which I’m sure all Windows users have experienced. Well, I don’t think I’ve seen it with XP, but I’m sure the Blue Screen of Death is still alive. I better hurried and managed to get one at Wal-Mart for the normal $250 price. (plus taxes of course) If you are able to find one and can afford it, I highly recommend it especially if you have a wife who hates video games. She will go from, ‘Why are you wasting your time playing Xbox?’ to ‘when’s my turn on the Wii?’. The Nintendo Wii was made for wives who hate video games. I’m sure that statement is on the box. Anyway, the same friend who told me about the Wii, loaned me Excite Truck . If you played Excite Bike on the NES 20 years ago, this will be a forward-facing flashback – only with nice graphics and surround sound. I have rented a few games for the Wii and have been a little disappointed. The Sports games that come with it are awesome of course, but it doesn’t seem many games use the new fangled controller to its fullest (yet). Excite Truck is an exception. Blast your turbos as you hit a ramp and notice yourself leaning forward as you catch air. It can be exciting. The other game I like for the Wii is The Legend of Zelda: Twilight Princess . I found this Amazon link for a Nintendo Wii with Zelda & Excite Truck Bundle – Right now only third parties are selling it and the price is more than retail. But if you are interested in a Wii, these two games are just alright. Keep an eye on that page since Amazon occasionally gets some in. Or if you are like me and have a friend who checks Wal-Mart every morning for new shipments, have them add you to their speed dial.